The leaves are changing colors; pumpkins are decorated all over; and it’s time for the most important day of your life. A fall wedding can truly be stunning from the decor to the location. Now that you’ve been dreaming of this special day, it’s time to bring that dream to life. Let’s talk about some beautiful fall decorations, including our wedding sparklers! How can sparklers play a role in your fall wedding? Simply put, the opportunities are endless! In this blog, we will talk about various ways to incorporate sparklers into your special day! From centerpieces to gift bags, light decor and send-offs, there are many ways to use wedding sparklers! Wedding sparklers can be used as decor throughout your special day. However, if you truly want your day to sparkle, may we suggest entry decor. Line the entry to your wedding with decorative buckets filled with wedding sparklers to commemorate your special occasion. Your guests will never forget the lit entryway to the place you’ll say I do! This is a great way to lighten up a fall afternoon! In addition to wedding sparklers, we also offer decorative buckets for your entry decor and customizable tags for the wedding sparklers. Fall = pumpkins! Embrace that fall feeling as your wedding is in the planning process! How can you incorporate festive fall pumpkins into your fall decor with wedding sparklers brightening the party? Carve pumpkins with your initials or other wedding related designs (Mr & Mrs., table numbers, the date) and light them with festive wedding sparklers. What kind of send off can be both festive and fall-related? Our wedding sparklers are a MUST. Have you been to weddings over the past few years that haven’t had sparklers as a part of the celebration? Wedding sparklers are a trend that have taken over the wedding circuit! Let’s think of a send off that you and your guests will never forget. 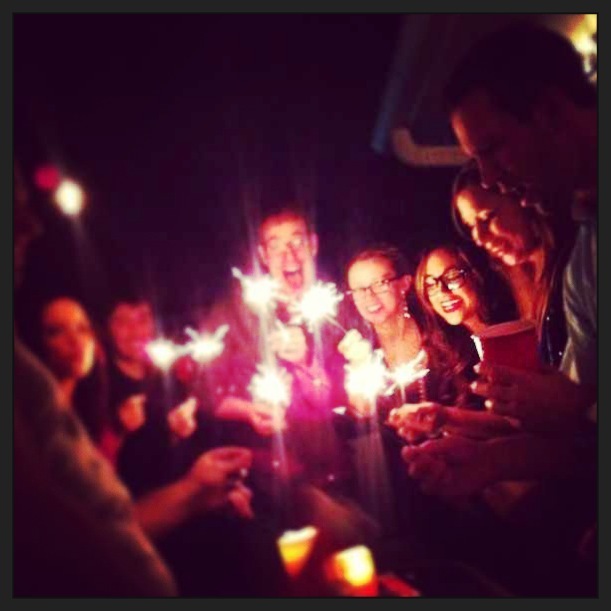 First, make sure you have enough sparklers for all of your guests! You don’t want to leave anybody empty handed. Have your guests hold wedding sparklers as you run hand in hand with your sweetheart. Line your runway with colorful fall leaves, pumpkins and all of your closest friends and family! It will be a true homage to the best season of the year and your newlywed status!